Do you often have thick snot in your nasal cavity that makes it difficult for you to breathe? Then the Adult\Children Nasal Cavity Cleanser is just for you. It is designed based on the human nasal internal physiological structure characteristics. Now you can keep your nasal cavity clean at all times. It smoothly removes dirt, dust, dried mucus, and any other pollutants inside the nasal cavity that may cause a cold. Experts suggest that cleaning your nose regularly will result in a healthier body, and can help you avoid infections, cavities, and bacteria. 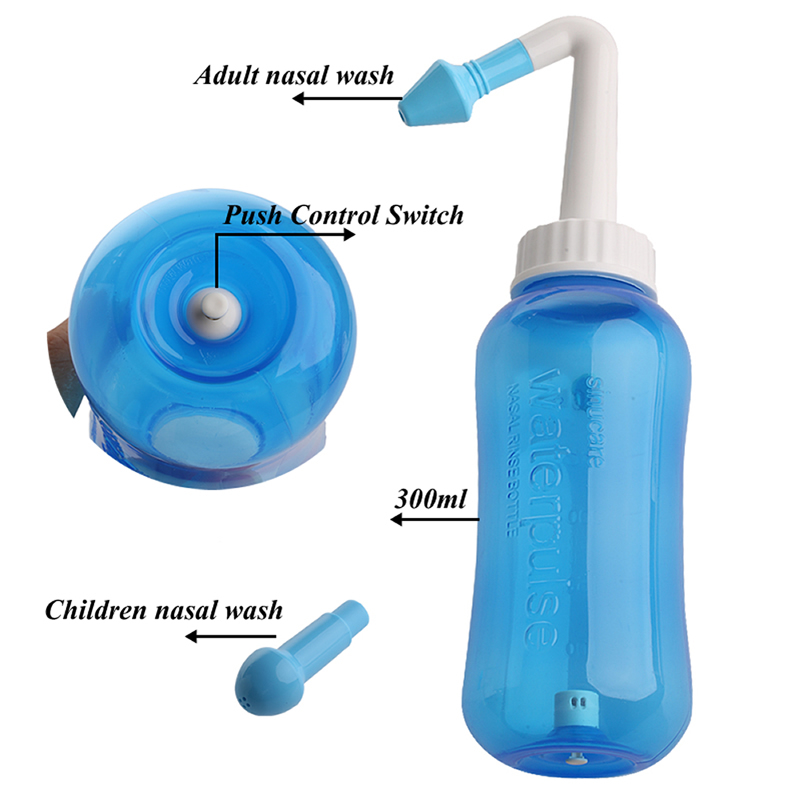 Our nasal cavity cleanser set includes two removable nostrils for the cleanser - one for children and one for adults. Every part of the cleanser can be cleaned and sterilized, so you and your children can use the same Nasal Cavity Cleanser with no fear! CLEANSES YOUR NASAL CAVITY: Gently removes dirt, pollen, mold, dust, mucus and other pollutants. 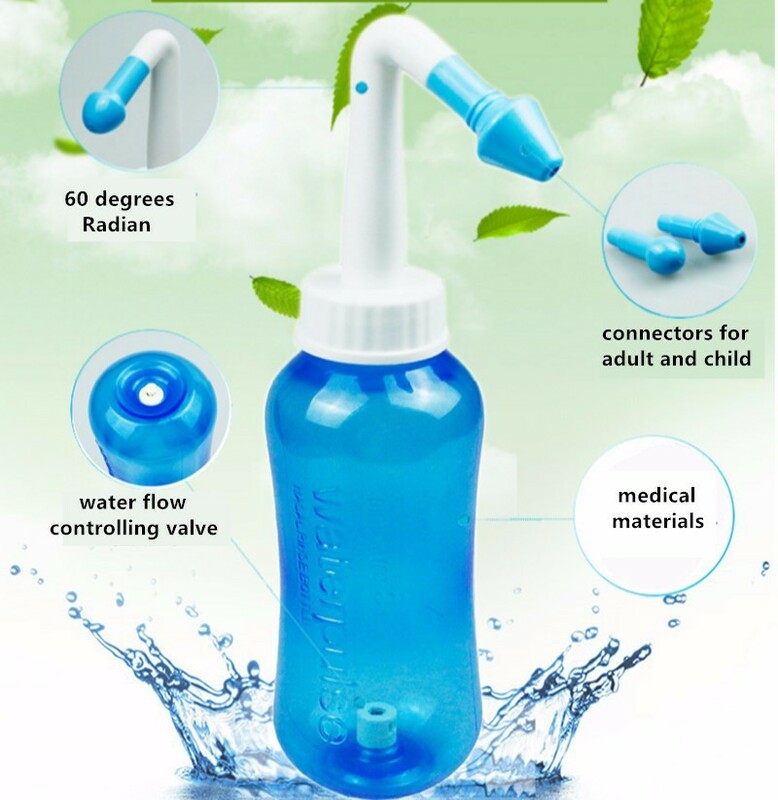 USABLE BY CHILDREN: Includes a free of charge children nostril for the nasal cleanser, more gentle than the adult nostril and perfect for children. 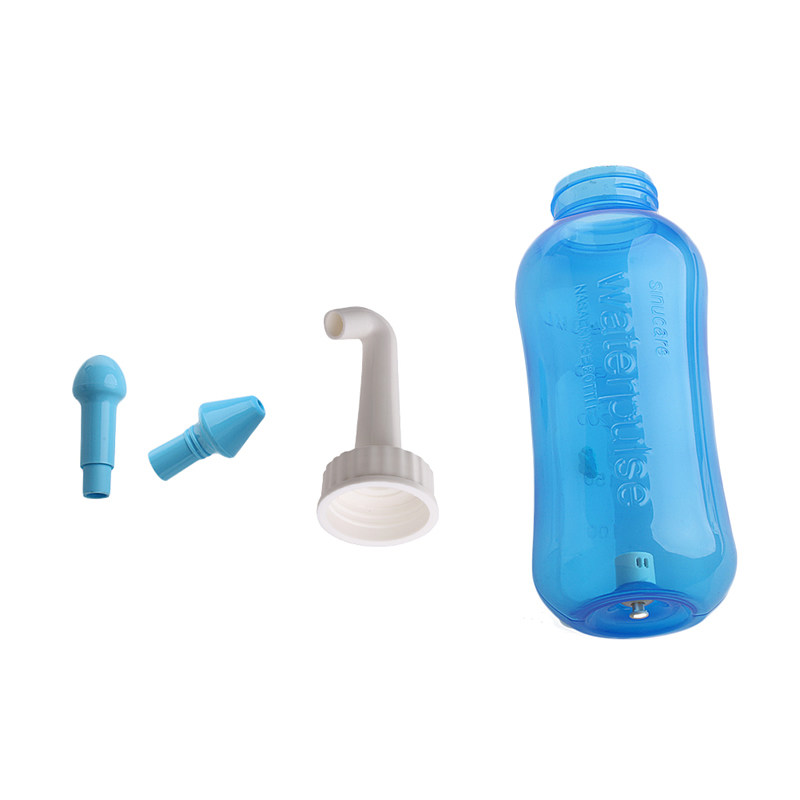 2 FUNCTIONS: Squeeze the container for a strong flow of water, or press the button on the base for a more gentle flow.